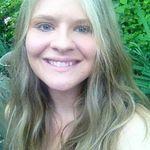 Brittany Tackett, MA is a transpersonal psychotherapist, life coach, writer, and creative visionary in the fields of mental health, spirituality, and personal growth. She is the founder of a new organization, HeartFirst Education whose mission is to educate the whole child, heart first. Brittany holds a Master of Arts in Transpersonal Psychology and an International Certificate in Applied Behavioral Studies. She has training and experience in a wide range of methodologies including cognitive behavioral therapy, mindfulness, neurolinguistic programming, somatic psychology, and dance movement therapy. Brittany first began her pursuits of psychology and philosophy in hopes of getting to the root of human suffering and answering the age-old question, “What does it mean to be human?”. After years of education, research, and experiential inquiry, her focus has shifted from what makes people suffer to what makes people thrive. Rather than focus on pathology, her approach is strength-based. Her path to emotional healing and transformation is holistic, integrating all aspects of the human experience, including the spiritual. Brittany seeks to bridge the gap between mind and heart and help people lead more conscious and fulfilling lives. She views mental illness as a social problem and believes American culture to be socially ill and in need of systemic healing and transformation. The root cause of the illness appears to lie in our over identification with the mind and disconnection from the heart. Success! Heart Consciousness sold 1 pre-order by Sept. 15, 2018, was pitched to 8 publishers, and is in discussions with publishers. Receive a digital copy of Heart Consciousness, compatible on all devices. Receive a paperback copy of the book along with the ebook, compatible on all devices. Received a personal, signed copy of the book with bonus digital copy compatible on all devices. 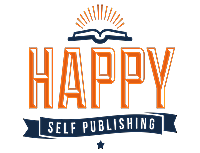 Receive 6 signed copies of the book, a digital copy of the book compatible on all formats, and a personal letter of gratitude and appreciation. Receive 15 signed copies of the book, digital copy compatible on all formats, official listing as sponsor in book, and a personal letter of gratitude and appreciation. - personal letter of gratitude and appreciation. Take a moment right now to tune into the sound of your heartbeat and feel the rhythm of your pulse. Did you know that your heart beats approximately 100,000 times each day? How many of those beats do you think you notice? What about the heart’s more subtle cues? How often do you notice its whispers of intuitive knowing or it’s soft feelings of love, compassion, unity, and understanding during times of hardship? The heart is the central organ of the human body. It is the first organ to develop in utero, beginning to beat at around 20 days post-conception. We know the heart is a vital organ, yet mainstream modern science sees it as only that, as nothing more than an organ that pumps blood. The emerging field of neurocardiology is revealing what our intuition has already told us, that the heart is more than just a muscle. In fact, the heart contains its own functional brain, commonly referred to as the heart-brain which contains more than 40,000 neurons. Intuitively we know the heart is an incredible source of wisdom and intelligence that goes beyond our cognitive understanding. We use phrases like “Listen to your heart” or “Let your heart guide you” when people are trying to make important decisions. Yet we still tend to live most of our lives lost in our heads, letting our minds rule us rather than our hearts. The consequences of this are widespread, affecting everything from our emotional intelligence, personal relationships, and social skills to our motivation, professional development, and meaning and fulfillment in life. When we’re out of touch with our hearts, we are disconnected from our true selves. We make fear-based choices disguised as logic instead of listening to our heart’s deeper longings. Even worse, when we disconnect from our heart center, we are less able to recognize our interconnectedness with all that is. While the heart dwells in unity consciousness, the mind is dualistic. The mind compartmentalizes everything and sees reality in parts rather than as a whole. This is where we fall into the illusion of separation. We forget that we are all one and come from the same source. It is this forgetting that is at the root of human suffering and the environmental, economic, and social crises that face us today. Heart Consciousness is a book about remembering. Its purpose is to reawaken us to what we once knew but have now forgotten. The problems we face today cannot be solved through the intellect alone. Heart consciousness is the key to human evolution and ecological sustainability. It is necessary for survival. Heart Consciousness explores the mysteries of human consciousness and existence, examines the metaphysical beliefs and scientific research of the heart, and illustrates how to awaken (or reawaken) heart consciousness and why it is the necessary next step for human evolution and planetary healing. Read this book if you know that humanity is destined for more than a life fueled by material gain and instant gratification at the expense of the ecosystem. Heart Consciousness is a book for those seeking deeper fulfillment and connection in life. If you long to be more compassionate, empathetic, forgiving, courageous, and inspired, but still struggle with emotional wounds or mental blockages that keep you from fully opening your heart, then this book may also be of value for you. Ultimately, it all begins and ends with the heart. The introduction will explore the current problems facing humanity today including rising mental illness and suicide rates, social and economic inequality, and environmental degradation. As Albert Einstein says, “You cannot solve a problem from the same consciousness that created it”. We cannot solve these dilemmas from the intellect alone. What is needed is a heart awakening; a shift to a consciousness that is rooted in compassion, empathy, gratitude, unity, and respect. The mysteries of consciousness have plagued scientists for millennia. It was relatively easy for neuroscientists to pinpoint areas of the brain responsible for things like sensory perception, language, information processing, and memory storage and retrieval. Yet the subjective experience of all these processes remains an enigma for science. Why do we have an inner life? Why aren’t we just robots who mechanically experience reality? What is the purpose and source of our awareness? Perhaps the answer doesn’t lie in our brains, but rather in our hearts. Intuitively we know the important role of our heart. We’re often told to “Follow your heart” or “Let your heart guide you”, but mainstream modern science sees this as poetic and views the brain as the primary source of consciousness and the heart as nothing more than a pump. This chapter will explore both the metaphysical theories and biological understanding of the heart from ancient human beliefs to the modern day consensus. Did you know that the heart has its own brain, consisting of over 40,000 neurons? The heart-brain can learn, feel, sense, remember, and make decisions independent of the brain’s cerebral cortex. This chapter will explore the groundbreaking research in the field of neurocardiology and what it reveals to us about the human heart and brain. Heart transplant recipients have reported personality changes and memory transferences following the transplant procedure. This chapter will explore the nature of these experiences and investigate the phenomena of cellular memory and what this may mean for the role of the heart in human awareness. Our intuition is a form of knowing that exists outside of conscious reasoning. Sometimes referred to as our 6th sense, intuition is often associated with the heart where logic and reason are associated with the mind. This chapter will explore the role of intuition in human experience and illustrate how to silence the chatter of the mind and tune in to the heart’s subtle messages. Emotional intelligence refers to the ability to recognize and manage one’s own emotions as well as recognize and empathize with the emotions of others. This chapter explores the importance of having a smart heart as well as a smart brain. Love is the greatest force in the universe. This chapter explores the nature of love and it’s role in human life on this planet. Other heart virtues are also considered such as compassion, empathy, forgiveness, understanding, tolerance, humility, valor, gratitude, appreciation and unity. Our current education system focuses far too much on educating the mind and far too little on educating the heart. This chapter considers the social implications of an intellect driven education and presents the scientifically proven benefits of social and emotional learning curriculums. Rates of mental illness and addiction are skyrocketing. Experts claim that mental illness is now our biggest social problem. Research indicates that trauma is highly correlated with both mental illness and addiction. This chapter outlines the impacts of personal and collective trauma and what we can do to mend our hearts and live happier lives. Heart is an anagram for earth. They contain the exact same letters, only the placement of the h is different. This chapter will explore the connection between our heart and our mother earth, discuss the current ecological crisis and examine the role of the human heart in environmental sustainability. This chapter ties its all together and illustrates how heart-centered living is the next phase of human evolution. We cannot heal the earth and sustain life on this planet with our current lifestyle and egoic level of consciousness. A full paradigm shift toward non-dualistic, heart-centered consciousness is necessary for survival. The final chapter provides readers with practical applications in the form of exercises designed to open up closed hearts, integrate emotional experiences, heal wounds that block the path of love, and elevate heart consciousness for self and others. According to research, the self-help market is worth about $9.9 billion and is expected to to increase in value to over $13 million by 2022. People are hungry for self-development. They genuinely want to heal their wounds, overcome their fears, and live up to their potential. People are also keenly aware of the social and environmental concerns facing humanity today. Many people are seeking alternative ways of living and being in the world that go beyond self-interest and preservation to live in a way that is harmonious and sustainable for all of life on earth. Heart consciousness provides the path toward this way of being and is a necessary gateway to personal and collective healing and transformation. As long as the virtues of love, compassion, forgiveness, empathy, and tolerance help humanity overcome things like emotional pain, loneliness, greed, hatred, and the illusion of separation, this book will have an audience. Because this is a book about the heart, most of the marketing for the book will be done intuitively, following my heart's lead. I intend to submit related articles to a variety of mind-body websites and blogs for publication with links back to Publishizer for crowdfunding support. Popular social media outlets such as Facebook, Instagram, Twitter, and Snapchat will be used to connect with this book's target audience through a combination of posts aimed at personal followers, as well as related groups, pages, and hashtags. Newer social media platforms such as Mighty Networks and LiveMe will also be used. Other marketing will be done through Youtube videos, email lists, and community events. This book is a comprehensive volume of research on the heart that has been conducted by the Institute of HeartMath. This includes overviews of the heart-brain interactions, heart rate variability, intuition, resilience, and emotions. This book illustrates the science of how the heart is connected to the prefrontal cortex, providing a balancing force to the brain’s intellect. It discusses the consequences of being severed from our heart and explores how reconnecting with the heart can teach our brains new ways to think. This book contains short contemplative passages along with prayers and practices for opening heart awareness and deepening presence. Through personal stories and reflections, the author illustrates the transformative power of compassion and outlines 8 heartfulness principles for living: Beginner’s Mind, Vulnerability, Authenticity, Connectedness, Listening, Acceptance, Gratitude, and Service. Heart Intelligence illustrates the link between the physical heart and the energetic heart through scientific research conducted at the Institute of Heartmath. The book also provides practices for engaging the heart’s intelligence by reducing fear, tapping into intuition, and increasing heart coherence, a state in which heart waves appeared smooth and ordered, indicating the heart is working in harmony with our other bodily systems. Living from the Heart serves as an introduced to Sufi-based meditation methods that focus on tuning into the heartbeat. By doing so, meditators can experience increased intuition, a deep sense of stillness, and improved overall health. on Aug. 16, 2018, 10:57 a.m. I'm so proud of you, Brittany! I love you!